We’d love your help. 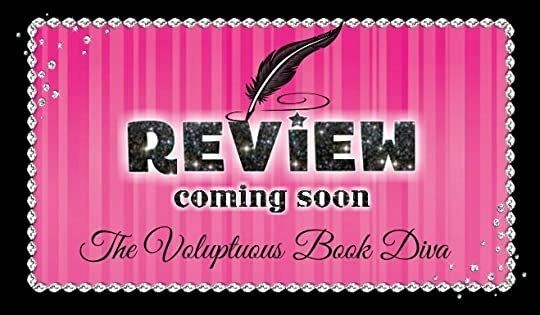 Let us know what’s wrong with this preview of The Cupcake Witch by Poppy Lawless. Buttercream. Vanilla. Fondant. Dark chocolate. Brown sugar. Molasses. Baking has always been my true love, but it wasn’t until my mother’s death, and the unexpected inheritance of Serendipity Gardens, that my bliss called me. Bittersweet. But Serendipity Gardens has more They say the course of true love never runs smooth. To ask other readers questions about The Cupcake Witch, please sign up. Really how some books have just huge reviews and they are so meh? Why? Or I'm getting to picky? This review is going to be very short, because apparently the book is also very short and I wasn't expecting that, it's more of a novella type story, as I wasn't expecting to be a bit disappointed. As you can see the cover is very pretty and the synopsis sounds girly and sweet and cute... and very yummy. But I think that this book was too childish for me or it is more for Really how some books have just huge reviews and they are so meh? Why? Or I'm getting to picky? As you can see the cover is very pretty and the synopsis sounds girly and sweet and cute... and very yummy. But I think that this book was too childish for me or it is more for young younger readers, because that's how I felt and I saw the characters, even though the plot and their age don't give this impression; so I don't know if it's my wrong way of seeing them or. The plot, the writing style, the characters and anything that it's in this story is easy, light, cute and you go straight through it like through cheese. And I don't know if it's a bad thing or a good thing. Because as I was reading, because it was so short and too easy I fel like I wasn't getting everything that I wanted. I don't want a story to feel like sands in my hands and slip through my fingers, I want to enjoy it and to know that I understood what happened. "The possibilities were limitless, but the one thing that needed to be there was me. My heart felt it with more certainty that anything I’d felt since Mom had died. I needed that neglected place as much as it needed me. What we would do together, I wasn’t sure quite yet, but that was nothing a pumpkin spice latte couldn’t remedy. Still cradling the antique recipe box, I snatched up the key and headed toward the door." A cool wind swept across the garden, kicking up with it the sweet smell of flow "The possibilities were limitless, but the one thing that needed to be there was me. My heart felt it with more certainty that anything I’d felt since Mom had died. I needed that neglected place as much as it needed me. What we would do together, I wasn’t sure quite yet, but that was nothing a pumpkin spice latte couldn’t remedy. Still cradling the antique recipe box, I snatched up the key and headed toward the door." A cool wind swept across the garden, kicking up with it the sweet smell of flowers. I looked back into the cauldron again, and this time I was truly surprised. Reflected on the mirrored surface of the water wasn’t my face, but that of Mrs. Aster. “Welcome home,” she whispered in a thin voice, smiling softly at me. But then it seemed she touched the surface of the water, distorting the image. Still in love with the town of Chancellor and the people I have met there so far but in this one, aside from Julie and Viola... the ones who had my attention the most where the people in the background (Emma Jane's friends were wonderful and a hoot at times... so much history there I would love to read a book on them all). Horatio was okay as a character in his own right but I didn't feel anything toward him and Julie as a couple. It was more telling 'they are in love' than having their love grow organically (right word?). From the the beginning and the blurb, you know the direction it is heading in but the Spark wasn't there for me to root for them. The concept of the magic and (view spoiler)[the coven was so enticing but we don't get as much focus on it as it deserves. Now, I don't mind a good romance story at all but in this case... This would have been one that would have been better off as a full length novel than a novella. It feels unfocused and parts of the plot felt rushed, especially the ending (kind of sweet even though it was). Would sort of recommend but start with the first one in the series Glass Mermaid to see if it is to your taste. The Cupcake Witch sounded extremely intriguing because how could food- desserts, at that- and magic not make for a good combination? This book is actually the second in a series of novellas, but each of the stories can be read as a standalone. 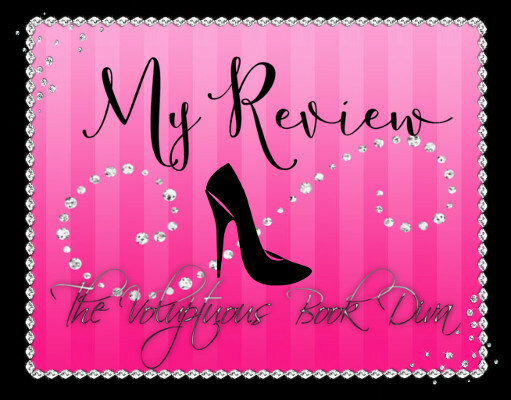 An extremely enjoyable read, The Cupcake Witch was a short, sweet and superb read. Julie lost her mother to cancer and so did Horatio. While on the one hand, Julie's dad is extremely supportive of her wish to start her own dessert and tea shop with an array of organic products for sale; on the other hand, Horatio's dad is very controlling and demanding and wouldn't have no for an answer. Julie and Horatio meet in a rather bumpy way, but once everything is understood between the two, the relationship between sweet Julie and dashing Horatio was the cutest. The Cupcake Witch is set in a small town where everyone knows everyone. These setups always give warmth to stories, and make them very welcoming. It was wonderful meeting the town folk and especially getting to know about the bazaars, festivals and entertainment there. Everything just seemed cosy and cute. The townspeople were so wonderful and seemed almost too good to be true. The most interesting part of The Cupcake Witch was the way the whole aspect of wizardry was introduced. Just when I started questioning the "witch" in the book title, I got the answer I was looking for. The best part of the book, however, was the many delicious desserts and food items that were described in a sumptuous and mouth-watering manner by the author, whose writing was somehow very pretty and her storytelling, quite magical. I am in-love with the town of Chancellor, what a magical place, I wish I could live there. This is the second book in the Chancellor Fairy Tales series and I loved it just as much as the first one. These books are very much a feel good series for me. I cannot wait to read book 3 and I hope there will be more! This was cute and I've got to say the little baker in me was drooling over the pages! Everything Julie baked sounded so good, that I was craving to go into the kitchen to bake the goodies myself! I absolutely love stories that have bakers in them, it calls to my sweet tooth and it brings a joy to my heart! That aspect pulled me in and then add onto the fact she can cast spells with her baked goods, you won this girl over! Though somethings were a little too fast for my liking, which was the romance. You guys have only known each other for like two days and you're already acting on the brink of love (cue eye rolling). Though I did think it was sweet sometimes, like how Julie (without even knowing it) helped Horatio finally stand up to his father. Ignoring him, I added, "And Billy just explained that the mold needed to be recast. That takes time. What should I do, go blow on the mold to make it dry faster?" That quote had me cracking up, laughing out loud to where I literally had to take a breath before being able to continue to read. I was able to connect to both of the characters, understanding the struggle of trying to appease a parent that no matter what you did you just ended up disappointing them. So, it was awesome to see Horatio stand up for himself to his father! I enjoyed watching the characters develop more than anything else in this book. Well, not more than the baking aspect and the beautiful pictures of the world Mrs. Lawless created in my head. But watching them grow was definitely stronger than my like of how fast the romance was and the witchy part of the book. I was a bit disappointed that the witch element of the story wasn't stronger. The little tidbits we got were great but I was expecting more. Honestly, I feel like this story could be expanded and turned into a novel, I think that's what the story needs. That way the other aspects can grow and develop too, plus I'm greedy and just want more of the story! I feel like there's still so much that needs to be told! From the moment I started reading this book I was transported into this beautiful and magickal tale. I felt such a closeness to Julie, like she was an actual friend; maybe even a sister. I loved how strong Julie'scharacter was and the author's story line was breath taking and full of vivid characters...all with their own strengths and weaknesses. I even found myself becoming attached to the characters. Poppy Lawless is an extremely gifted author as she knows how to truly weave a world building web that ensnares you and keeps you captivated from beginning to end and I know because once I picked this book up I simply couldn't bring myself to put it down. I will gladly continue to read her books and highly recommend you read this one like yesterday. Julie finds her Aunts little lost shop and falls in love with it...after losing her mom, she decides she really does not want to go back to school....she wants to open her own bakery and tea shop...her Aunts place inspires her and she comes across a recipe box, a special box with not only recipes but incantations to go along with these sweet recipes....and all falls in to place! A lovely little novel that allows you to see how two people find themselves again and that allows them to find each other. A pinch of magic and some twinkling stars and you have a short story to enjoy with your morning coffee and leave you smiling and in a happy place. The romance between Julie and Horatio is simple and sweet and clean enough I can let my ten year old read this story with no qualms. I greatly enjoyed this short story. I really liked this one. It was so cute, light, and fluffy. Horatio is a very wealthy man's son who happens to practically own the entire tow I really liked this one. It was so cute, light, and fluffy. I absolutely loved the title and the cover. It sounded and looked like a cute fantasy that I just had to read. And of course, reading the blurb and seeing that a guy was involved made me want to read it even more. The message. Both Julie and Horatio have never really followed their own dreams because of their parents. Their parents wanted different things for them, so they have always chosen to please them instead of themselves. Finally, they realize that they need to follow their own dreams, no matter what their parents or anyone else thinks. And I think that is a great message. We all have dreams. And we all have to deal with people and their opinions about those dreams. But no matter what, we should go after our dreams and do what we are passionate about. Sorry to go all after-school special on you, but it’s true! And I like that this book addresses that. The characters. I loved every single one of them, even Horatio’s hard-headed father. Julie is driven and not afraid to go after what she wants. Horatio is ambitious but also very sweet and caring. And I loved the other characters too, especially Tootie, Violet, and Betty. Those ladies reminded me of the aunts in Practical Magic. LOVE THEM. The plot. Girl, who may or may not be a witch, wants to be a baker and inherits very cute building. Boy needs building to tear it down and make it into a parking lot for his father’s new restaurant. Boy meets girl. Things change. Love the idea of this. Cute and intriguing all at the same time. The writing. I had never read anything by Poppy Lawless before, so I didn’t know what to expect. I just have to say that she is amazing. I love the writing style! I want more! The pace. Okay, there were a few issues I had, like the lack of background info about the characters or not enough witch stuff, but it all comes down to the pace. It was way too quick for me. There wasn’t enough time for all that stuff. I know it’s a novella, but it all just happened way too fast for me to care about the characters or get really invested in the book. This really would have been the PERFECT book if it was a full-length novel. Horatio’s name. I’m sorry, but I just don’t like it. I did, however, love the fact that Julie agreed with me: “Who in the world names their kid Horatio these days?” Lol. I really, really liked this book, and I would have given it five very well-deserving hearts if it was longer. It had everything! Unforgettable characters, perfect plot, some awesome magic, a cute romance. But, it just felt rushed. That being said, I would definitely recommend reading this. I’m starting to think that I’m just not a novella-type reader. All in all, this book is really good, and I look forward to reading more by this amazing author. This was sweet. I love how Julie comes into town on a feeling that the house left to her was meant to be and be her future and helps a family heal from a death and a dad finally see what he is doing and get forgiveness from his children. I also love Horatio. The book is not meant to have deep meaning but be a sweet fun flirty entertaining book and it gives us just that as we watch Julie and Horatio find each other and get her business up and running. Julie at first seems a little airy but what is This was sweet. I love how Julie comes into town on a feeling that the house left to her was meant to be and be her future and helps a family heal from a death and a dad finally see what he is doing and get forgiveness from his children. I also love Horatio. Julie at first seems a little airy but what is really there is a sweet, kind and honest girl. Watching her with her attraction to Horatio and how she stands up to Horatio’s dad is great. She gives Horatio the courage to stand up to his dad as well and that for Horatio is a turning point. Horatio is a very sweet, tender guy who is trying to please his dad when he meets Julie. He messes up at first with her but does make up for that. His dad wants Julie’s property and she doesn’t want to sell so he pushes a little to hard all the while falling for her. She intrigues him and that is something new for him. Watching these two come together is so fun. They are so cute as they flirt with each other and have their attraction grow over getting her business up and running. All the characters are fun and adorable. Horatio’s dad is so sad that he lets one moment that is magical take over and make him obsessed with having what will make it happen again for others. He loses sight of what is important and becomes a mean person. His children don’t even like to be around him. Viola is the one who creates peace and Horatio stands up to him. what changes him? A cupcake from Julie. He sees what he has been doing and finally comes to terms with things. That and Julie offering a olive branch. 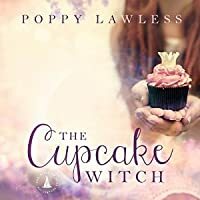 After reading The Cupcake Witch, another magical novella by Poppy Lawless, I am ready to pack up everything and move to Chancellor. In this town lives a mermaid and now we meet a hearth witch, who is the sweetest, loveliest witch to grace the streets of Chancellor. We meet Rayne in this novella, but in 2016, we will learn more about him in The Bee Charmer, the third installment of The Chancellor Fairy Tales and why his eyes have that special sparkle. Gah, I can't wait! Julie is brave, independent After reading The Cupcake Witch, another magical novella by Poppy Lawless, I am ready to pack up everything and move to Chancellor. In this town lives a mermaid and now we meet a hearth witch, who is the sweetest, loveliest witch to grace the streets of Chancellor. We meet Rayne in this novella, but in 2016, we will learn more about him in The Bee Charmer, the third installment of The Chancellor Fairy Tales and why his eyes have that special sparkle. Gah, I can't wait! Julie is brave, independent, and has style that is all her own. Horatio says she is gorgeous, as if "she'd stepped out of a Botticelli painting, stopped by Woodstock for a makeover, then landed before me to make me lose what little cool I had managed to acquire over the years." I couldn't describe her any better. And seeing how she affects him still makes me smirk. I think I fell in love with these two characters--individually and as a couple--is because we get to see them through the other's eyes. Now, that's magic, and makes their sweet romance even more perfect. The little Tudor cottage that Julie inherits is as much a character as Julie herself. Seeing it for the first time elicits awe. I felt the magic, even with all the dust, and fell in love with it just as fast as Julie did. Oh, to sit in the Victorian greenhouse sipping tea and admiring the shop would be peaceful and magical. I finished this story feeling content and happy. Julie and Horatio meet by chance (or fate?) when Julie arrives to inspect the cottage she's just inherited from a distant relative. Horatio's father wants the property to demolish it--and build a parking lot for his nearby restaurant. It's a bad beginning, but things soon turn around. Is it because it's kismet, or because of the magic imbued in Julie's new cottage? She's a college junior, ready to strike out on her own and build the life she always dreamed of, as a baker, not the dental career h Julie and Horatio meet by chance (or fate?) when Julie arrives to inspect the cottage she's just inherited from a distant relative. Horatio's father wants the property to demolish it--and build a parking lot for his nearby restaurant. It's a bad beginning, but things soon turn around. Is it because it's kismet, or because of the magic imbued in Julie's new cottage? She's a college junior, ready to strike out on her own and build the life she always dreamed of, as a baker, not the dental career her recently deceased mother had laid out for her. Her father seems to know this is Julie's calling and he steps away and lets her choose her own path. On the flipside, Horatio's widowed father is a real nightmare. His overbearing ways are hampering his relationships and his business. Good thing Julie's culinary creations have an extra special mystery ingredient. Yep, you guessed it: magic. What? Did you think I meant love? The book's named The Cupcake WITCH, not The Cupcake LOVER!! This books as wonderful! It was a great story about a woman who follows her dreams. She becomes a baker/witch who has many new friends. My favorite part is the ending because Julie is going to try some match making with her boyfriend's sister and best friend. I like how well the author portrays the characters. 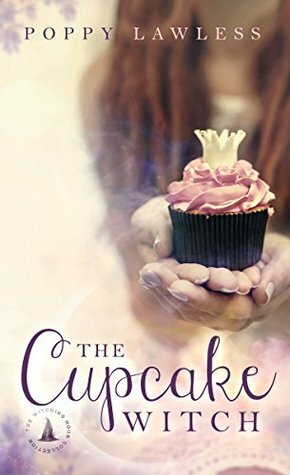 The Cupcake Witch was such a feel good novella that even though the romance was fast it didn;t bother me. It was a rather sweet romance with good-natured characters and some wonderfully delicious dessert imagery. I loved the concept of a cupcake witch or really a hearth witch. I'd love to see what else Poppy Lawless has in store. The only thing was - there wasn't any recipes! this is the second book in the chancellor series and I am in love! poppy lawless makes you fall in love with the characters and never want to let them go. the cupcake witch is no exception. another wonderful book by this author! I will be sharing with my audiobook group! my favorite quote : "Nothing a magical cupcake couldn't solve "
I NEED TO READ THE ENTIRE SERIES NOW. Ok. So, honestly, this was an awesome premise with an amazing cover. I was drawn in by that beautiful cover and hooked by the idea of a cupcake witch. However, this story did not live up to my expectations or hopes. The writing was lacking for me, specifically in the very basic sentence structure, and I found it difficult to focus because it was so distracting. Besides the writing, the pacing was off. I know it's a shorter story (novella? ), but it moved through things too fast, especially the rom Ok. So, honestly, this was an awesome premise with an amazing cover. I was drawn in by that beautiful cover and hooked by the idea of a cupcake witch. However, this story did not live up to my expectations or hopes. The writing was lacking for me, specifically in the very basic sentence structure, and I found it difficult to focus because it was so distracting. Besides the writing, the pacing was off. I know it's a shorter story (novella? ), but it moved through things too fast, especially the romance. The romance was ridiculous... 2 days knowing each other, and she already has such intense feelings for him? In fact, I found most of the behaviors of the characters in the book to be superficial and unbelievable. I couldn't enjoy it, and found myself skimming the last few chapters just to get through it. I don't know what is it about stories set in small towns, but I always end up really enjoying them. This little novella was a fluffy and feel-good type of read, and I really enjoyed it. The setting was wonderful, the characters were interesting and the plot was quite engaging as well, although predictable. The only downside that I noticed was the the romance plotline moved rather fast and felt like an insta-love. Otherwise, I wish that it would've been a full-size novel, because the author left I don't know what is it about stories set in small towns, but I always end up really enjoying them. This little novella was a fluffy and feel-good type of read, and I really enjoyed it. The setting was wonderful, the characters were interesting and the plot was quite engaging as well, although predictable. The only downside that I noticed was the the romance plotline moved rather fast and felt like an insta-love. Otherwise, I wish that it would've been a full-size novel, because the author left a few things open, and I would love to see her develop them more. Cover/Title: The title is what drew me into this book. I love the idea of a cupcake witch. Characters: I love this little town that Julie has found. The characters, for the most part, are so friendly. Plot: I love the idea of using cupcakes to spread joy. The whole town just seems delightful. Overall: This is a lovely story that will put a smile on your face. It is perfect for those days when you need something sweet and happy. I will be looking into more of this series. The story was captivating and I absolutely loved the recipes & cupcakes!! The cottage makes me want to live there or find one just like it! Written in a way that keeps the pages turning! A really sweet book I will read again!! The Cupcake Witch is a sweet, short story which pulls you into it's world. The town, the characters are all so interesting that i didn't want to let go. Cupcakes, magic, eccentric people, and a happening town... i look forward to more books in this series. Received a copy of The Cupcake Witch for a review. I loved this story. A cute, clean romance that leaves a smile on your lips & a song in your heart. Such a sweet, sweet story. Poppy Lawless has become one of my favorite authors. And now that I have the Lucky Charms jingle stuck in my head, let me tell you how sublime this was! My only complaint is that it was over too soon! I love this couple, this town, and this ending. I just want more! I am in awe of the authors talent to weave a web of magical enchantment. I was drawn in and totally engrossed in the wonderful happy place created. Twice now when I finish the book I had to go to Amazon and get the next one!